Our process is holistic and complex. It works from front to back to address the complicated and nuanced issue of child trafficking. We invite you to spend some time learning more about how we’re ending this devastating problem in Ghana. Our staff begins by spending time on Lake Volta talking to the fishermen and children who are out working. In doing so, we consistently hear the names of nearby villages that seem to have a large number of children working on the lake. The lake was created upon the flooding of the Akosombo Dam, built in the 1960s to generate hydroelectricity. Over 80,000 Ghanaians were displaced by the flooding, creating a large fishing industry where an estimated 7,000 children are forced to work as child slaves. Once we've identified a village we believe has a large number of trafficked children, our field workers enter that village to meet with the Chief. We get his permission to do a house-to-house census with the possibility of working with the community on an economic development project. This census not only helps us understand the number of family units and their economic realities but also helps us very accurately pinpoint the trafficked children living there. As soon as we anticipate a village will partner with us (before it's made official), our investigators locate the families of the trafficked children to ensure their stories match ones we've been told. These conversations include important confirmation that the families do want their children to return home. To date, every single family (representing more than 120 children) has affirmed they want to take care of their children once they return home. Once we have a list of trafficked children, our staff asks the Chief for a community meeting with the entire village. We gather under their largest mango tree, the customary meeting place in Ghana, and begin a conversation about fishing, child trafficking, and the future of the community.  Over time we propose that the most sustainable method of fishing is not with children but with aquaculture cages. We are willing to provide the cages and coaching needed if the village will agree to voluntarily release their trafficked children to return to their families. Through partnership and empowerment, we are changing the narrative of sustainability in a fishing village. Not only do we free a village's trafficked children, we also offer freedom and pride to the families of the village fishermen. These conversations take place over a number of weeks and months as the village begins to trust us and our intentions. Eventually, as a village agrees to work with Mercy Project and release their trafficked children, the partnership is documented with a signed contract, handshakes, and many hugs. At an agreed upon time, the partner village voluntarily releases the children who have been working for them. This event typically includes some type of ceremony with a native blessing for the children as they send them off. Someone from the village says, loosely translated, "Go do great things, and don't forget about us." 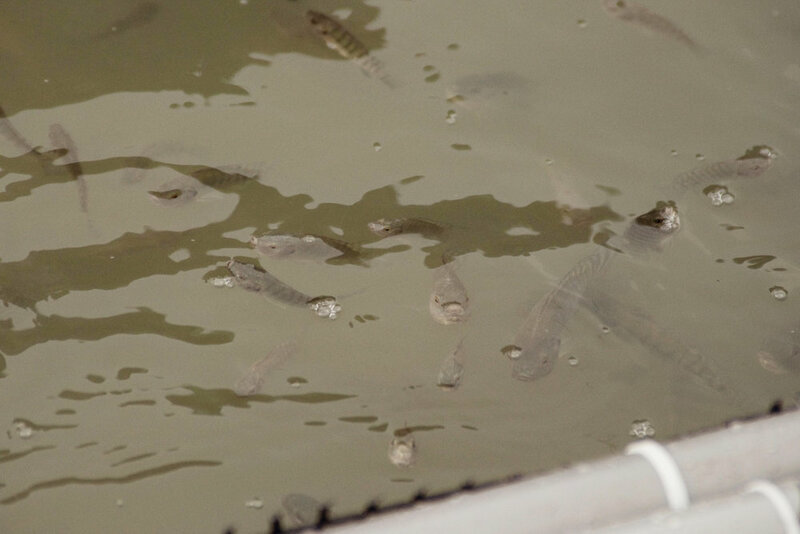 Once the cages have been built and placed in the water, they are filled with baby fingerlings delivered from Mercy Project's GH Fish hatchery site. Each cage holds ten thousand pinky-finger-length Nile Tilapia which will eventually grow into hearty adult fish worth much more at the local market than the type of fish the villagers had been able to catch previously. A few weeks after the children are rescued, our staff brings in the materials for the aquaculture cages the community will use for fishing. The village self-selects a few trusted fishermen who will oversee the cages, and our staff trains them on how the cages are constructed to ensure they feel ownership and empowerment in the project. After approximately 5-6 months of daily feeding by the villagers, the fish are fully grown and ready to be harvested. The harvest is a community affair including a number of people to both pull the fish from the cages and also prepare them for the local market. We then travel with key community members to sell the fish at the market. Mentoring and coaching with the village continues as we teach economic principles like supply/demand, wholesaling, supply chain, and more. Once the fish have been sold, the community agrees together how they would like to share the profits. This typically represents a large sum of money that, when pooled together, offers a significant opportunity for village life to improve in some way. Our partner villages have used cage profit for items like: opening their first community bank account, buying supplies for village meetings, acquiring reliable transportation when a community member needs to be taken to the hospital, and so on. We provide feedback and counsel but ultimately allow each village to make its own decision. A portion of the proceeds from the cages are used to buy fingerlings and feed for the next round of cages. This is done under the supervision of our staff as we continue to work with the community for as long as they feel we can be helpful to their success in the aquaculture venture. As most of the community has had very little formal education, a long-term commitment to helping them understand the more technical aspects of cage fishing is highly important. Meet a village fisherman. Our process is time consuming, but it is holistic, addressing the root issues of slavery in Ghana. If you’d like to learn more or have any questions about our process, we’d love to share!